On Tuesday 19 June, in our respective roles as CS Disability Champion and CS Health and Wellbeing Champion, we hosted the first ever Civil Service Mental Health Conference. The conference was designed to sustain momentum on mental health support within the Civil Service, following publication of the Farmer/Stevenson Thriving At Work report, to reflect on what we have learnt so far, and to consider what more can be done. 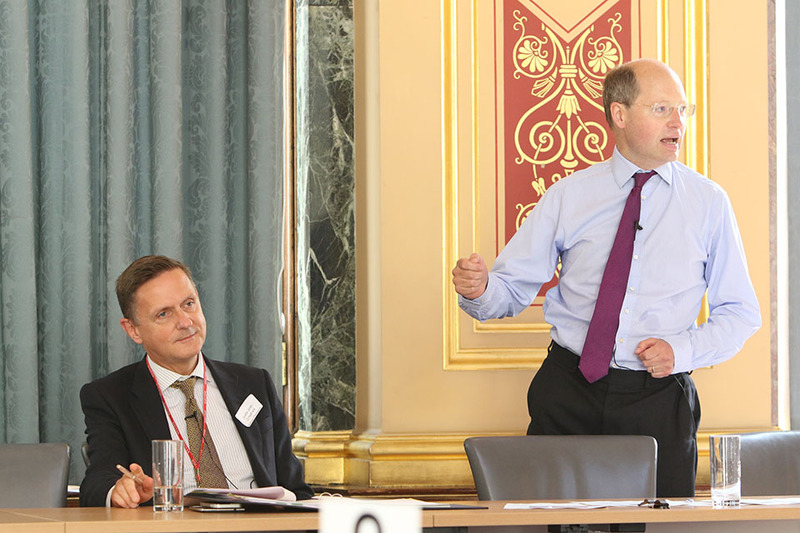 The event was hosted by the Foreign & Commonwealth Office. There were over 160 people present, covering all main government departments and a wide range of job roles, from colleagues with lived experience of mental ill health, and Mental Health First Aiders or equivalent, to Health and Wellbeing Champions, to name a few. The day was a huge success. Internal and external guest speakers shared personal stories and insights; and there were interactive best practice workshops on topics such as workplace adjustments for staff experiencing mental ill health, building line manager mental health confidence and capability; and supporting staff at specific risk of stress or trauma. Poppy Jaman, OBE, CEO of City Mental Health Alliance, inspired delegates by sharing her personal experience of mental ill health, to demonstrate why having a conversation about mental health is so important and how small random acts of kindness can have a positive impact on individuals. Isabella Goldie from the Mental Health Foundation shared some insightful statistics on how mental health affects us all and steps organisations such as the Civil Service can take to ensure that employees thrive in the workplace. A panel discussion on mental health provided those present with an opportunity to ask us questions as sponsors of the event alongside other expert panel members, including; Sue Owen, CS Diversity Champion and LGBT&I Champion; Angela Matthews, Business Disability Forum; and Nuzhat Ali, Chair, Public Health England (PHE) Muslim Network. 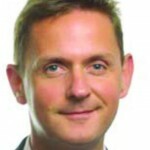 We also watched an inspirational video message from Rupert McNeil, Government Chief People Officer, who candidly shared his own experience of mental ill health and his personal pledge to take responsibility for and look after his own mental health and that of those around him. He invited delegates to make their personal pledges to support mental health in the workplace - whether focused on themselves, their colleagues, or larger-scale organisational plans. Our personal pledges, which we openly shared with delegates present, were: “To take time to consider the impact of my own task-focused approach to work on the mental health of those around me” (Philip); and “To be more open and honest about my own mental health” (Jonathan). 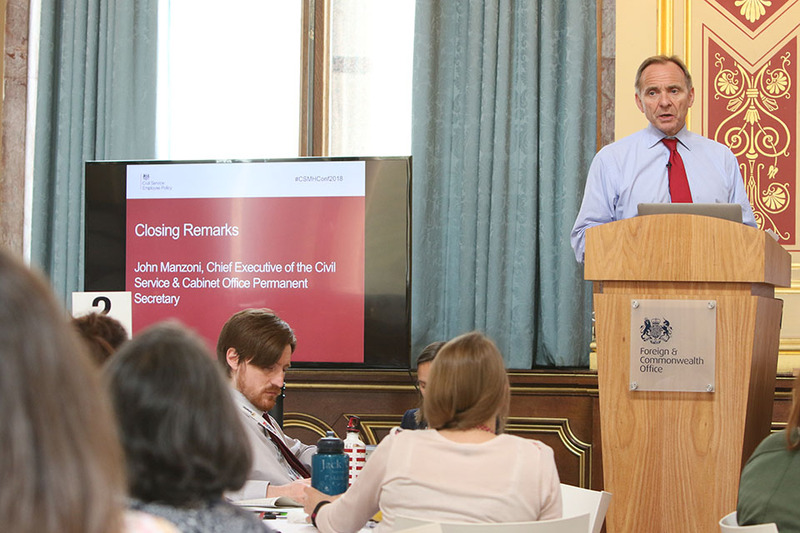 The conference concluded with a speech by John Manzoni, Chief Executive of the Civil Service, who assured delegates present that mental health is a key priority for the organisation. He shared his own commitment to complete Mental Health Awareness learning, as this is an area that he has recognised that he needs to learn more about. Building on this successful conference, our joint aim is to embed mental health best practice into all aspects of our work and for the Civil Service to be widely recognised as a leading employer in supporting the health and wellbeing of our people. It was a pleasure to host this conference and, like others, I learned a lot. The challenge for us in the FCO is spreading the word beyond the echo-chamber of those who are already interested in mental health issues. Our thanks to FCO for kindly volunteering to host the conference and to you for doing an excellent job as MC in overseeing the event. You make an excellent point that we need to find further ways to reach out to those who are not yet engaged in activities occurring within departments and centrally to improve mental health support. Mmmm, still a long way to go before the many feel free to tell all in a culture of "Truth & Reconciliation" as, too many very good at PC Professional talking the talk just when it comes to walking the walk some not so good at hiding their embedded Personal Ideologies surrounding fear based stick and carrot mindset. Nevertheless, still have the 2010 Equality Act to fall back on when the repetitive stressors last up to 12 months or longer. Which reminds me, not enough DSE operators having their display screen interface ergonomically adapted, customised or optimised for them in order to mitigate early onset eye-strain, CVS or Screen Fatigue. With the drive to cut costs by forcing everyone to hotdesk the idea of any attention to ergonomics is laughable. Consider Border Force Officers at airports. Passport Control Desks are absurdly badly designed, and with officers running from one terminal to another and never at the same desk for more than a few hours you're expected to fit the desk, whether you're 6' + or 5'. When an officer gets seriously phycically affected they may get a personalised chair and restricted duties limiting their activities, but there is zero investment in ergonomically designed desks and chairs that can easily be suitably adjusted to pre-emptively avoid problems developing. Thanks for your comments. We are concerned to hear that you consider Passport control desks to be badly designed. Please contact us via mentalhealthconference@csep.gov.uk with specific details and we will arrange for the Home Office Health & Wellbeing Champion to liaise with estates colleagues to look into this. We fully acknowledge that we still have work to do to build a culture in which line managers and staff across the Civil Service feel able to talk openly about mental health. However, events such the Mental Health Conference, alongside the Farmer Stephenson “Thriving At Work” report, provide a useful platform for making further progress. We would be happy to look into your point concerning DSE Operators, so please email us via mentalhealthconference@csep.gov.uk with the specific details. Such a fantastic day, a sign of progress just by dint of having the day, the inspiring content and networking was great too! Thanks, David, we appreciate your feedback and are glad that you enjoyed the networking and found the content inspiring. we have been talking about mental health for so long and sharing personal stories, i could write a novel, but it has done ery little to improve things for civil servants at the lower levels, they still face capabality hearings, occupational health reviews and all sorts of other pressures when there managers have no idea on how to deal with a mental health question. i have been to and heard about so many conferences and still nothing changes. Then its up to us. I'm the co-owner of a staff run group support session in DVLA. It's not much but its helped the staff that have attended. Myself and the other co-owner just gave a presentation to a senior leader team and have been authorised to run a pilot with staff getting facility time to attend, it getting promoted in return to work, etc. Thanks for sharing details of the Staff Group support session that you delivered in DVLA to a Senior Leaders Team. It is great to hear about this type of staff-led initiative. Well done to you and others that organised this. We are sorry to hear that you have heard many personal stories and attended lots of conferences previously and feel that nothing has changed, particularly for staff at lower levels. We would welcome your thoughts on what more we can do to change this and ask that you contact us via email address mentalhealthconference@csep.gov.uk. Such an important subject and close to my heart, having suffered with a mental breakdown last year. The one aspect we can never get right is the communication. I was off for a length of time and whilst I had excellent support from my immediate line manager and grade 6, who let me take one day, then one week, then 1 month at a time, this was not the case via the trigger point system. Imagine the stress of trying to deal with personal issues and just getting through each day and then having to deal with warnings possible disciplinary if your sick exceeded a certain number of days. Not nice at all and TBH my stress levels increased. Because everything we seem to rely on is automated, we have lost the human touch in our work life. Individuals who go through any form of serious illness, should be afforded at least support from professional bodies such as GP, Hospital, Counsellors, before an automated warning is given. Gather the evidence first. I am reminded of a picture where a boss is stood over his co-worker and the captions reads. Boss "Funny you dont look, or seem sick to me " Co-worker " Funny you dont look like a doctor "
Thanks for taking the time to share your personal observations from the viewpoint of experiencing a mental health breakdown last year. It is good to hear that you received strong support from your line manager and Grade 6, but that this was in contrast to the automated application of the Attendance Management trigger system, which increased your stress levels. There is flexibility in the policy for line managers to apply discretion where appropriate, and CSEP colleagues are currently exploring how we can ensure that this is applied consistently across departments. Totally agree with you, Jim about the trigger point system. My line manager was sympathetic and dealt with it as well as she could, but was told by HR that the 'flexibility' afforded to line managers was very limited and that she had to conduct a formal interview with me, although she already knew that there were perfectly good reasons for my absence and that I could not possibly have done anything to avoid hitting the trigger point. The standard letters are worded in a very heavy-handed and unsympathetic way and - as you point out - such a draconian approach to mental health absence is unlikely to do anything but make the condition worse. The more severe your condition, the more negative the effect is likely to be - no matter how kindly your line manager might try and approach things, the threat (however slight) of written warnings or even worse is only likely to make depression and/or anxiety more intense. While is is positive to see mental health being given air-time, the civil service has a long way to go before it gets this right. I'm afraid the mantra that 'mental health issues are like any other illness' may actually not help, if it results in one-size-fits-all HR policies that may actually contribute to the worsening of a psychological condition. Excellent read. So glad to see diversity celebrated in the Civil Service and mental health challenges acknowledged. Hi Oliver, thanks for your kind and positive comments. As a former civil servant who retired early after a mental health crisis, when the issue still felt very stigmatising, I am really pleased to see the Civil Service talking openly about it. Much credit goes to Jeremy Heywood for the progress on that. Had things been more open when I became unwell, I may not have felt it necessary to retire. Especially as I fully recovered and now work in the NHS. The experience of coming through a breakdown provides a powerful understanding of the crisis people will inevitably feel. Everyone’s experience is also very unique. Since being open about my own experience, I have been approached many times to share it with others struggling for whatever reason. For those who found the strength to approach me I am told it helped greatly, but I am worried for those who may yet still not feel comfortable about opening up to someone. So I was delighted when the co-author of the ‘The Thriving at Work’ report, Dennis Stevenson, approached me for input to the report. My mate and former colleague Sue Owen recommended that he talk to me, as she was one of the very few people who knew and understood what was happening to me 5 years ago. According to Dennis, the most significant thing I said to him was not especially to do with my personal experience but that his job was not about writing a delivering a report to the PM and, therefore, job done. It was about ensuring that it was followed by sustainable and impactful actions to reshape attitudes and culture in relation to mental health in the workplace. So it’s good to see that mental health in the Civil Service is being taken more seriously. I do nevertheless get told by many how things do not yet feel different. So please remember this, everyone one of us, no matter our role, grade or background, has equal responsibility for owning the need to change the culture and stigma. Once we all feel that, I think we can probably say job done. As ever Terry has focused right in on the point that counts - sustainable action that actually achieves results. I applaud our more senior colleagues for sharing and encouraging greater openness on mental health issues - both personal and professional as we do need to start somewhere. Real human experiences shared helps build better policy and learning to fill the gaps but we also require practical commitment and robust support and guidance if at ground level managers and staff feel those aims written in a Civil Service plan resonate with them. Just an aside from other comments here - managers are colleagues too so poor mental health does not discriminate by grade. Terry's experience is a case in point and a more positive advocate for what can be achieved with the support of others we would struggle to find. Thanks for your comment. You make a good point that mental ill health does not discriminate by grade and that managers also require support. Thanks for sharing your personal experience as a former civil servant and to Sue for linking you with Dennis Stevenson to contribute to the 'Thriving At Work' report. We fully agree that improvements in mental health support requires sustainable and deep-rooted change in culture, and that all of us have a role to play in achieving this. It is good to know that you are now fully recovered and bringing the skills and experience you developed in the Civil Service to the NHS. Hi Terry, so pleased to hear you are well. I was not aware of the reason you retired from the Civil Service. What a pity. You are an inspirational leader and I still approach my daily life by the words you delivered at Summer School many years ago " If we can recognize that change and uncertainty are basic principles, we can greet the future and the transformation we are undergoing with the understanding that we do not know enough to be pessimistic. - Hazel Henderson. Good Luck for the future. Were there minutes taken for this event, or are any slides available? I have spent the last 5 years at least trying to tackle the stigma, to look at how our sickness triggers and our management structures can be more understanding to the everyday issues of those who suffer from Mental Ill health. Small changes create a big difference, unfortunately a lot of what we see and hear appears to be said but never put into place. 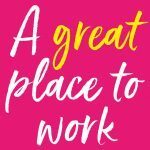 I would love the opportunity to discuss with Senior management, the every day issues, the constant struggles and the ideas I have to work with both staff and management. Love your comment Steve. I had those same comments in your paragraph thrown at me by a trade union rep. Whats worse this sane union defaced my Fit Note & said I was fit for work when my GP stated on the fit note I wasnt. We would be happy to link you with your department’s Senior Health & Wellbeing and Disability Champions to discuss the points you have raised, if you email us at mentalhealthconference@csep.gov.uk. The conference included a specific session on stress/trauma and we would be happy to share the details. Thanks for your comment. We would be very happy to send you details of the slides used at the event and notes of group activities/exercises. If anyone else would like a copy please email mentalhealthconference@csep.gov.uk and we would be happy to send this to you. We would also be happy to connect you with your department’s Senior Health & Wellbeing and Disability Champions to pick up on your latter point. Makes you reliase how far we have come, and how far we still have to go!! Hi Debbie, thanks for your positive comments. Excellent to see this being taken up at such a high level. As someone who has experienced mental ill health, I feel that I have been lucky in the way that my managers have handled it. Regrettably, other have not been so fortunate and have had bad experiences, partly borne out of lack of knowledge of the issues surrounding mental ill health, partly because of uncaring managers, but also owing to attendance management procedures which are often stuck to rigidly and don't necessarily take into account the nature of the illness except for in a very limited number of circumstances. We need to look at some of these procedures and start to make them a bit more humane, alongside increased awareness and education of mental ill health issues for all staff. Thanks for your comment. As a number of the comments posted show, some individuals have received strong support from their line managers. However, we would be the first to acknowledge that others have experienced less positive support, and we need to do more to support line managers to become confident in initiating conversations about mental health. I think that we only have to reflect as to how the issue of mental health and wellbeing was being dealt both in the workplace and in society a few years ago to see what has been happening. Certainly MIND and Time to Change have been instrumental in seeking to increase awareness and understanding about Mental Health and break the stigma surrounding mental health. The introduction of the Workplace Index has also helped to encourage Employers and in particular Civil Service departments to review how they are supporting staff and to ensure that they have adequate measures in place. We have also seen visible support for young people who have found life to be a bit of a challenge. I am pleased that the Civil Service is looking to address this issue and I welcome this Conference. Certainly within the FCO, over the past 4 years we have seen the launch of the Wellbeing Network which is a Staff Association that provides peer support, the set of a MHFA cadre both in London and throughout a number of our Global Overseas Posts, Lunchtime talks with well know celebrities, Mindfulness sessions, lunchtime art sessions, Blogging, etc. Even our PUS Sir Simon McDonald has been visible in his support. Of course there is still much that we need to do but certainly from my perspective, we have made significant progress and most importantly, we are making staff feel empowered to talk about their mental state of health without fear of being judged or it impacting on their future career. Thanks for sharing details of activities within the FCO. We agree that initiatives such MIND, Time to Change and Workplace Index have been instrumental in increasing mental health awareness and, while there has been some progress, we need to use events such as the Mental Health Conference to maintain momentum and to build on this. It was a privilege to take part in this day. We still have a very long way to go, but at least we’re heading in the right direction. Allowing people to feel safe to have open and honest conversations about what they need to keep them in work and performing to the best of their abilities is vital for individuals and for the good of the Civil Service. Thank you for your positive comments. You make an important point of the importance on continuing to have open and honest conversations. I would like to have attended also, can I be put onto a mailing list for next time as this one didn't come to my attention. Thankyou. This is in line with what I expect from Philip Rutnam. When he was with the DFT he always ensured that Mental health and disability was at the top of the agenda. As the health and Safety Officer for ETI in DFT I was and am still grateful for the tireless energy and commitment to those who needed help and support over here. And now he's doing the same over there. Impressive. Thank you James, that is very kind. I am so pleased to see that Mental Health issues are being taken so seriously and getting the attention so badly needed. Every single one of us will at some point in our lives have some form of mental health anguish, whether through personal loss of someone close, overwhelming financial burdens or property loss,or redundancy or illness etc.... The point I am making,is this issue resonates with us all. It is a shame that cannot be said for disability and how this is managed. Again like many other replies noted there is inconsistency, backed by a system that is rigid and based on perverse policy in the sense that it leaves interpretation wide open. Not all managers are good managers and follow rules to the letter without any sensible or reasonable judgment. No wonder reasonable adjustments are poorly implemented - or should I say, workplace adjustments. As an ex-member of the disability network I would be more than happy to discuss this further - disability confident level 2 is not met in many areas, so what chance have we to meet/maintain level 3? Mental health issues can be combatted and good health can return. Unfortunately this is not the case with most disabilities, which are for life! Greater change is needed and not just tinkering around the edges. Such an important agenda. I've only recently come to realise how much bias and prejudice there is in the workplace against those with invisible and mental disabilities. The stereotype that those with disabilities or problems can't work on "face paced" or "high profile" areas is particularly enduring and I've had some horrible prejudiced comments in the last month. Thank you for your comment. We are sorry to hear you have experienced prejudice in the workplace. If you would like us to put you in contact with your departmental health and wellbeing champion please contact mentalhealthconference@csep.gov.uk. We acknowledge there is still more to do to address stereotyping and help change the culture to be more supportive to those with both visible and / or non-visible disabilities / ill health. Events such as the mental health conference are important steps towards this. I`m glad that Mental Health now has a renewed (hopefully lasting) focus within the Civil Service. You must ensure that ALL line managers are properly equipped to deal with their staff who have mental health issues, even if that is just sign posting. I`ve been on the wrong end of a few bad decisions down the years because I was not helped correctly and it must stop. Wellbeing Confident Leaders Training - a welcome concept. Leaders have had well being education in the past but still revert to blindly following processes. I have been a mental health advocate since the role was introduced in HMRC. The majority of people who use this channel for support reference how the triggers in the attendance process combined with a lack of common sense approach aggravates their already heightened fragile and vulnerable state. HMRC does provide great support for people with mental health issues but the Vision is diluted by some leaders either due to a lack of knowledge about options they can offer an individual or pressures to meet demand particularly during peak periods. There appears to be no practical well being strategy to support people during peak work particularly for those who are on prescribed medication. Leaders are under pressure to deliver results so unfortunately no matter how much training is given people revert to type and don't see the person. I have heard comments in more cases than I care to count where leaders have said you WILL lose you job NOT this COULD lead to and the other common comment is this may not be the job for you. In some cases this may be the case but if we keep responding using this language to people who have a history of mental illness or indeed starting on the daunting journey of getting the correct medication for them then The Civil Service Vision of being a lead organisation in the Mental Health Space is just a dream. It is really great to see mental health being promoted so effectively. We all at some point in our lives have mental health issues and anguish - whether that is through grief and loss of loves ones, severe illnesses, marital breakdowns, financial crises, work pressures, BHD at work (or in the community) - the list is long. The more we make it normal to talk about, the more the stigma will dissolve and confidence grow to share. It is very true - a problem shared is a problem halved! One area we cannot forget is disability and the mental anguish of those disabled colleagues when not respected or managed properly in the work environment, often with no reasonable or workplace adjustments. Thankfully many mental health problems can be resolved, however most disability conditions are for life - something we cannot forget - and inclusion in the workplace is paramount for disabled staff, including those with hidden disabilities. I take duty of care seriously and reach out to all colleagues to assist, so I must point out that disability management is extremely inconsistent across the department. Unfortunately and as surveys reveal, many suffer bullying and harassment - and have been the easy target for the lower 10% band in previous performing reporting. Thankfully that system has gone. However, if we are to really reach disability confident level 3 and maintain this level, a lot more effort is required. And not just a tick box exercise for plans, where only positive reporting is made at senior level, but where senior management and champions get a grass roots level appreciation of reality and make effective change for the better - not least to an online system that is rigid beyond belief and to policy that leaves interpretation far too wide and lacks any empathy (as Richard Pearson pointed out). I make no apology for hijacking the blog to put these points over, as disability seems to have paled into the background with so many other initiatives and I want to bring it to the fore again. 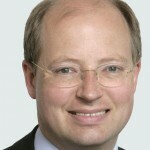 As a person passionate about everyone reaching their potential and particularly disabled colleagues, I do relate to and firmly believe that Philip Rutnam will challenge and make positive change so that it is a great place to work for us all - but can we make this quicker please! It’s heartening to read & I don’t doubt the sincerity of the participants at this conference. However, I don’t see any change in attitudes with regard to civil servants at lower grades. Especially at lower grades, where being open about mental health issues can open the gates to bullying & harassment. One tactic used by SCS to browbeat colleagues with mental health problems is “we have to think about the business” so we can’t make adjustments or “do you really feel want this job” & “we can’t put the business at risk” (my favourite!). I saw a slight change in attitudes when Princes Will & Harry so strongly championed people with mental health issues. Have any CEOs or Directors taken time to chat to people in their units who suffer from mental health issues & who work extra hard & bravely soldier on because their job gives them normalcy & dignity? Practically speaking - where is the committment in real terms? I am told at our local H&W champions meeting that there is a budget of £500 per region and no time allowance. It would be a great start to have a paid post across each region- visitng and demonstrating tasters that can assist staff- linking in with NHS Mental helath first Aid training etc. Also this person could be a point of contact to develop a menu in each area of stress alleviating providers/ measures that staff could access or book freely eg. links with the community- thinking of the E and R aspects of PERMA? As a qualified yoga teacher and Art Facilitator I would apply for that post. Its good to see mental health at the forefront and the many positive comments, but also sadly the comments from individuals who have had a less than postive experience in the workplace, when informing management of their issues, are an indictment that we still have a long way to go to eliminate the stigma around mental health issues. I would also ask what support is available to singleton posts serving overseas on military bases where civilians are very much in the minority and the general attitude is "just get over it, or man up"? Yes, there is usually access to the Unit Welfare Officer and Padre (depending on location) and as excellent they can be, they are "geared up" for the military (including dependants) systems and processes and are unable to fully understand the issues and processes for assisting civilians. well I hope that this time round we really get somewhere, as someone who has had mental health issues for a large number of years, which have been grossly mismanaged by managers, occupational health advisors etc,(i.e. made the situation worse) I'm not holding my breath!